Those little differences that catch you out! 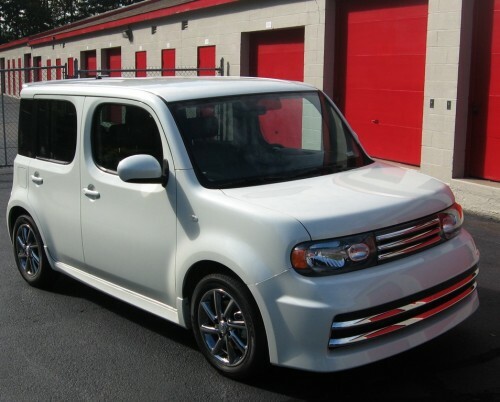 So the cube for a while was a global car sold in it’s homeland but also across Europe and the US and this is where the changes start and a lot are like those you might find in Brothers or sisters, there but only noticeable to those that really know them. Lets start with the elephant in the room. You can’t help but notice that depending on which hand drive your car is the assymetrical window wraps the non drivers side at the back. This throws up our first issue with buying parts and specifically aero parts. if you have a right hand drive cube you have to buy a wing for a right hand drive car. Something about the handing means the top of the door profile and the opening means the door top is slightly differently moulded on either side and as such if you buy the wrong hand it won’t fit. Strictly speaking it can be made to fit by packing it out with washers but who wants that on a wing they have spent several hundred pounds on! The rest of the differences aren’t quite so stark but are there if you know to look for them and could catch you out if your looking to buy parts you believe to be bolt on. Heading to the front of the car the different impact protection rules around the world mean the nose on the cars is actually slightly different. The japanese nose is actually slightly snubber as they don’t have the big lump of polystyrene behind it that is present on US and Euro cars. Not a big issue maybe but there is the chance that if you are buying a lip kit this difference in depth could well mean your JDM lip comes up short or your USDM lip oversales! Having said that the JDM front bumpers come up on Polish ebay a fair amount and if you want that genuine JDM feel they bolt straight on after the removal of the afore mentioned Polystyrene pad (not that we recommend such things!) as this is how we know about the difference. Cube sides around the world are basically the same as they never produced a Gen 3 cubic so there are no length variations however the rear of the USDM cube has drum brakes for some odd reason. At a guess the other markets disc systems could be swapped over to fit but this would need some investigation to make sure that things like the distribution block and ABS systems were all adapted to suit as well. 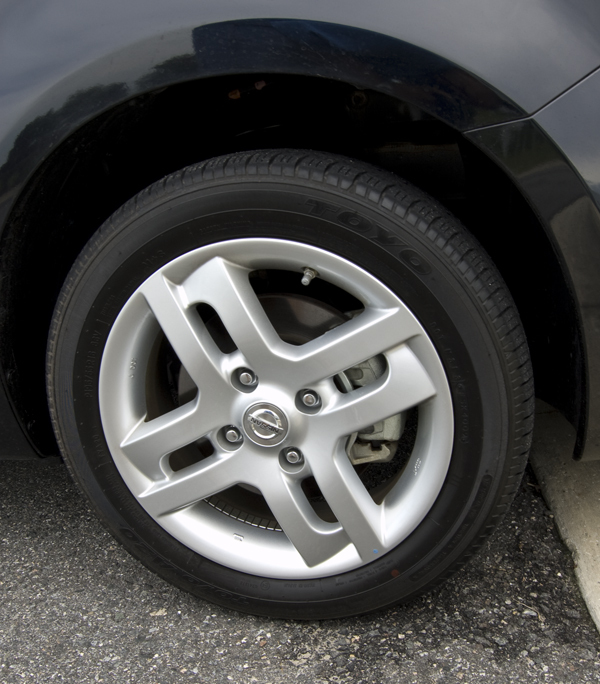 Wheels in the UK are all alloys with the standard being 4 spoke cube specific with an option being available. Across the rest of the world alloys appeared on the higher spec versions but a lot just have steelies. 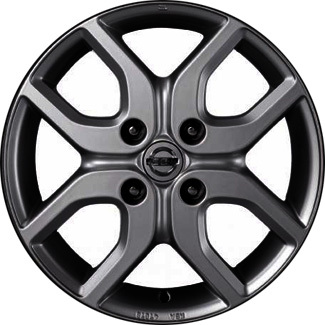 In Japan you can I believe still get the moon wheel covers that are a popular item from the gen 2 on the Gen 3 but as they are just wheel trims you could just get a set from a gen 2 anyway! Once again at the back of the car we find another small difference, the registration plate recess on the car differs around the world and I suspect the depth of the bumper does in the same way as the front. Once again the USDM and Euro cars seem to match with a wider plate aperture and I believe slightly deeper bumper section. The JDM bumper has a narrower plate recess which seems slightly odd as the US registration plate in states that require it is closer to the JDM size than the Euro plate size. I guess though the US market gets the Euro bumper with it’s deeper impact section to save Nissan having to mould a 3rd profile! This again affects the fit of aero parts as Nissan’s oem kit wraps from the rear wheel arch round to the plate recess. A case of too long or to short depending on the market cross over you get and whilst they could be adjusted to fit no doubt with the cost of these parts it would be better to avoid it! The biggest variation for the exterior of the cubes is that in Europe we only got the standard bodywork versions of the cube however in the US there was the option to get the Krom and in Japan they have the Rider. These both have a fair amount of difference to the standard trim in front and rear bumper styling and if you want to get this look you’ll need to get the whole bumpers as well as grille trims and other parts to make it all fit. If you want to go down that route (and empty your bank account!) check the US ebay or import monster for the parts and be prepared for the shipping and import costs on top of the price your paying. 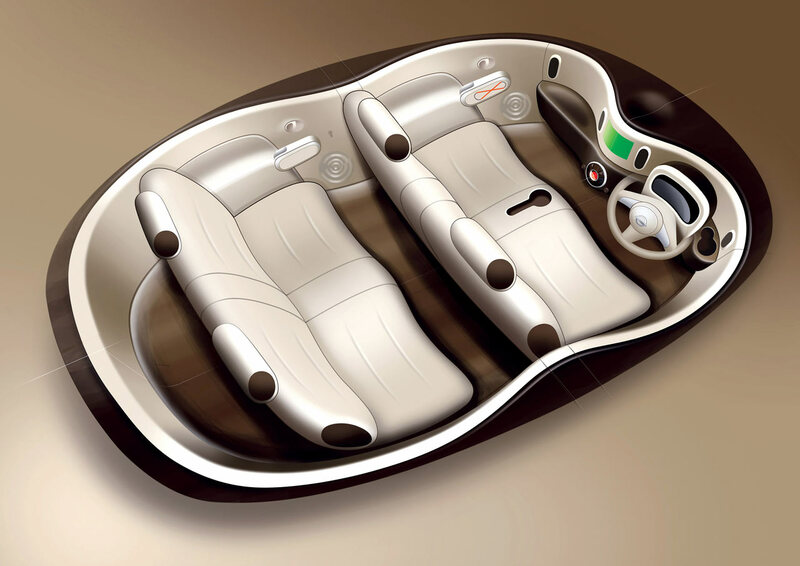 Inside the car there are a few obvious differences the first being where you sit. Japanese cars aside from those that have a sports heritage seem to almost all be automatic and on top of that in the box cars they like to have that auto shifter on the tree. This means the front seat in the JDM cubes are a bench althought they have a cupholder in the centre of the seat (seems they had a serious number of cupholders in the parts bin as the cube could never be said to be short of holders!). Very cool when you see the shots of the JDM interior but not exchangable to any of the other markets as it’s only JDM cubes that have column mounted shifters. This causes issues if you look to buy seat covers though as if they come from Japan they will have the seat base cover being far to big on one side and needing adjusting or tucking to suit. Again worth avoiding if your spending hundreds of pounds or Euro’s on Clazzio covers.The arm rest is the other thing as on a bench seat it is far wider than the JDM and euro markets. USDM and Euro cars share the same seat configuration, split bucket seats. This is because even though almost all USDM cubes are also Automatic they have the shifter on the floor. In the UK we hold to a manual gearbox as if it’s part of what makes us British and forms part of our excentric identity. Trouble is this doesn’t resolve the whole seat cover issue! in Europe you are ok as driving on the wrong side of the road (yes I went there but as the Japanese also drive on the right side of the road which is the left I hold us to be correct!) the drivers seat is on the same side of the car as the US and so the clazzio produced for that market fit. In the UK we slip through the gap between the seats like that last mint imperial. This all comes down to where the drivers seat arm rest is located. In the US the different specification levels and ages of the cars means that the cube can have none, 1 or 2 arm rests where as in the UK all spec levels have a single arm rest on the drivers seat. So far I don’t know that anyone has managed to discuss the differences with an American Clazzio suppler and get the right mismatch of front seat covers shipped but we hold hope that some day it will happen. Now you have your backside on the seat, look up and what do you see? in the UK if it’s sunny (rare I know!) you may well have just had to shield your eyes as we are the envy of the world seeing as we got the moonroof as standard across the entire range. This has both a solid fabric cover and a Shoji that still allows the light through but without the glare. This wasn’t available in the US at all I believe and they get the water ripple head liner that centres the ripples on the dome light as if it was dropped in water. In Japan the glass roof was available and cropped up on a few models so can be found but I don’t believe is all that common. Stereo components differ around the world but are mostly just common cross model nissan branded units. 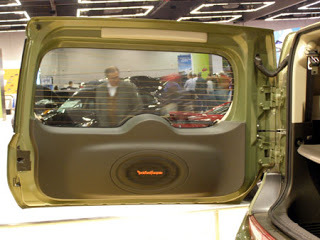 A lot of the nissan branded units are made for them by clarion and the speakers I believe are cheap clarion generics. The one model that stands out is the Krom as that has a Harmon Kardon stereo installation which includes a subwoofer in the rear door. This is another part that I am unsure of the compatibility with UK/JDM as with the door being handed if the finisher would fit is up for debate and with bits like the lock mechanism being handed there could be space issues. It’s likely that the door would take it and if one comes up cheap enough it would be interesting to try but again not one to chance a lot ofmoney on as you could have a GRP bespoke install made for a perfect fit and that would allow you to select the subs you want specifically at probably not a lot of difference in price by the time shipping and Duty has been factored in. The cube has 3 power plants around the world. 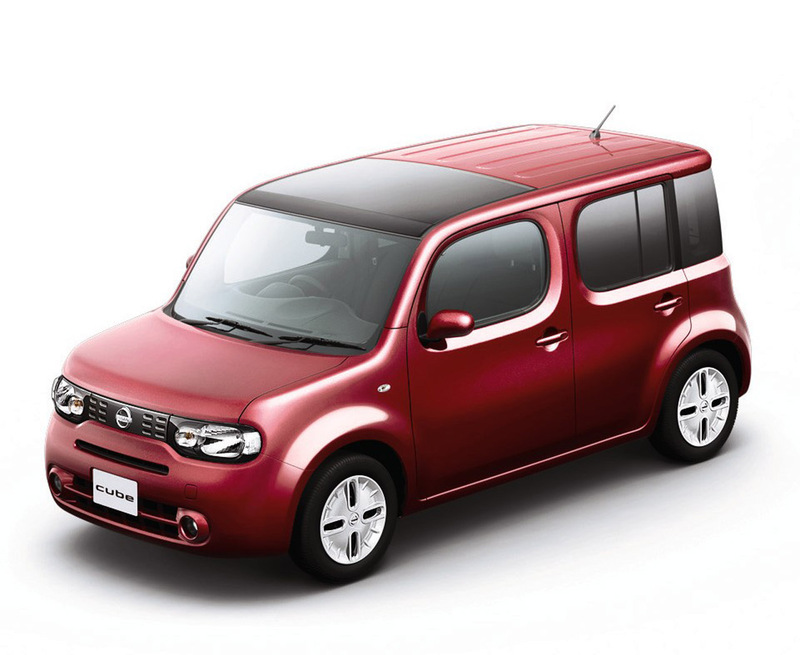 In japan the cube is a city car and in that guise has the smallest of the 3 the HR15DE that was found in the later Gen 2’s and outputs 99hp/74kW. Europe gets a shift up the engine size and has the HR16DE, this gives 10 or so more HP putting out 108hp/79kW and is shared with a range of other Nissans so parts for the rare car are at least reasonably accesible for the engine! Finally with there bastion of “no replacement for displacement” the US gets the biggest engine of all in the MR18DE this puts out 122hp/91kW (weirdly less than the maximum the engine normally runs at elsewhere in the world!) and is shared in the range but I am not sure any of the cars it shares with are actually available in the US! A number of engine mods are cross engine compatible however and I know a few people run the USDM intakes on their cubes although I believe there is tweaks that need making with sensor loctions and the USDM engine cover can be made to fit with some DIY bracketry. In the UK the best bet for an engine cover is that from the Micra as it seems to have been the only car with the 1.6 engine to have been garnished with one as it doesn’t turn up in the juke. Well that covers the differences that are likely to impact you when shopping round the world for components and will hopefully help you avoid any disappointment when opening that box of new car parts only to offer it up and it be wildly wrong. From the above you can see why as a club we still recommend Toys r us and you local hardware store as being the best place for mods but hopefully we have helped in avoiding at least some costly mistakes! ← Struggling to open the back doors….